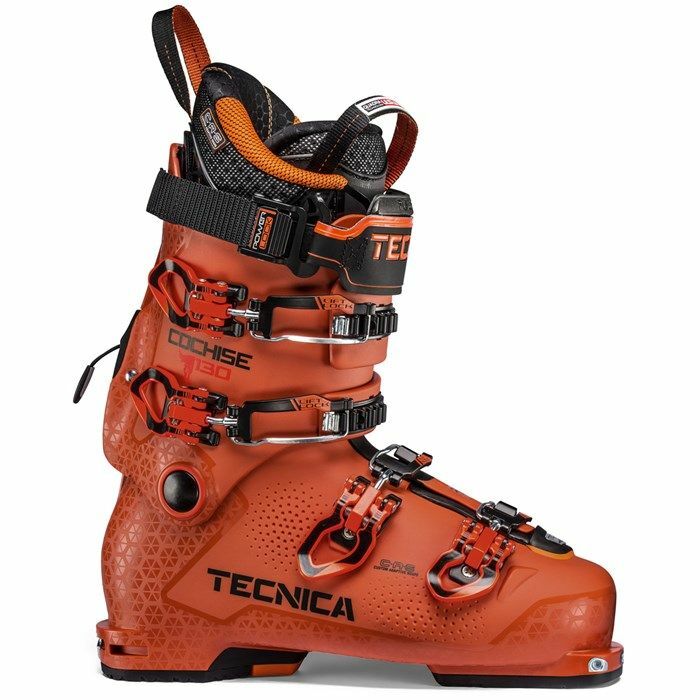 Tecnica's top of the range freeride boot. The top of the range of Tecnica's well established Cochise family is back again for the 2018 season. These solid Freeride boots are one of the stiffest in class and give all the downhill performance you would expect from a top Alpine boot, they feature a ski / walk mode which gives a good range of motion when in walk but as they are at the heavier end of the spectrum the Cochise 130 are best suited to shorter tours and hikes to hunt out the best snow. The Cochise 130 features Tecnica's best CAS liner, offering good fit, heat fitting well and being easy to alter. They extended the CAS system to the shell making the Cochise 130 an easily modified and supportive performance freeride boot. With the standard sole units, the Cochise 130 will fit Alpine bindings and AT frame and pin tech bindings without changing the pads. Offering a bit more room over the top of the instep than boots like the Freedom SL, the Cochise 130 can be a great choice for people with medium volume feet.